I often encourage people (myself included) to EMBODY the tarot in some way so that the cards are more than just talk. 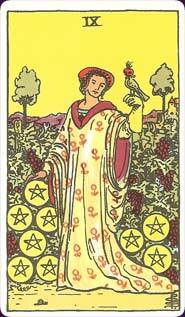 One enjoyable way to do so is to create a recipe from a tarot card then eat what you make. Admittedly, puttering in the kitchen is relaxing for me. To eat your tarot-based dish can be a sort of communion, a way to ingest what you want to create in yourself or in your life. You can base your delicacies on the image, your understanding of the card, or both. Below are two examples. TAROT RECIPE EXAMPLE #1: Bounty/Empress Soup (based on Trump 3 from the Medicine Woman Tarot). Soak three cobs of corn, husks still on, in water for at least 30 minutes. Pre-heat oven to 350 degrees Fahrenheit (175 degrees Celcius). Place corn cobs, husks still on, on a baking tray. Place chopped potato, onion, squash, and bell pepper on another tray. Drizzle with olive oil and freshly ground pepper. Toss. Place both trays in pre-heated oven for 55 minutes to one hour. Keep an eye on the corn; the husks should brown or blacken. Remove both trays from oven and remove husks (which should be dry and dark) from corn. Purée all ingredients in a food processor with a little stock. Simmer the puréed mixture on low heat on the stove. Serve in bowls (with a dollop of yoghurt, if you like). TAROT RECIPE EXAMPLE #2: A Nine of Pentacles Dinner (based on the 9 of Pentacles from the Rider-Waite-Smith Tarot). First Course: Dolmades (stuffed grape leaves). Second Course: Escargots (see the snail in the lower left corner). Third course: Poultry (the bird). Dessert: Grapes in Champagne Jelly. You could even hold a pot-luck meal with your tarot study group. People could bring dishes based on different suits and trumps. Fun! Tarot for Every Day (book) by Cait Johnson. 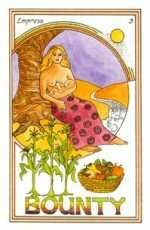 The Epicurean Tarot (deck) by Corrine Kenner. What bores you the most in the world of tarot? What might be a fascinating alternative to that thing? What bores most people is the tarot being treated as some sort of authoritarian “ism” (i.e. 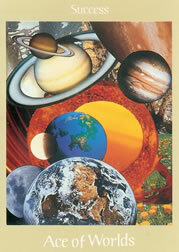 “This deck/spread/meaning/school of thought/book/etc. is right and that deck/spread/meaning/book/etc. is wrong, so you’d better get/use/know/adhere to/read this.”) and the deck as a relic that’s only for readings about surface matters. What might be a fascinating alternative would be to listen to, witness, honour, and respect the diverse roles that the tarot (and spreads, processes, books, etc.) can play. People also seem to want experiences or encounters with the tarot that take them into experiences/encounters with something deeper and larger (the soul, interconnectedness, nature, our world, cultural change).